Historical fact: In the early days of the 20th century car traffic increased dramatically ultimately causing the need for pedestrian cross walks. These bricks were produced for use in marking crosswalks at intersections. 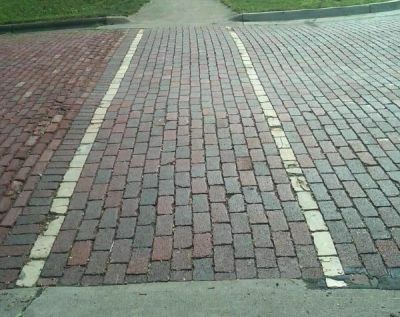 Manufactured in eastern Ohio using very light colored clay they provided a simple solution for marking streets. These unique bricks can be used to create designs or patterns in a larger field.